Recently, the Ivanka Trump Eau de Parfum Spray For Women has become the best-selling perfume across the United States of America. Well, we cannot deny the fact that there is some factor from the name behind the perfume. Ever since the election of her father as U. S. President, Donald Trump, Ivanka Trump has risen to be a hot topic on the media. Well, even before this point, she is already a well-known name. But she and her perfume are now getting more attention from a wider range of audience. 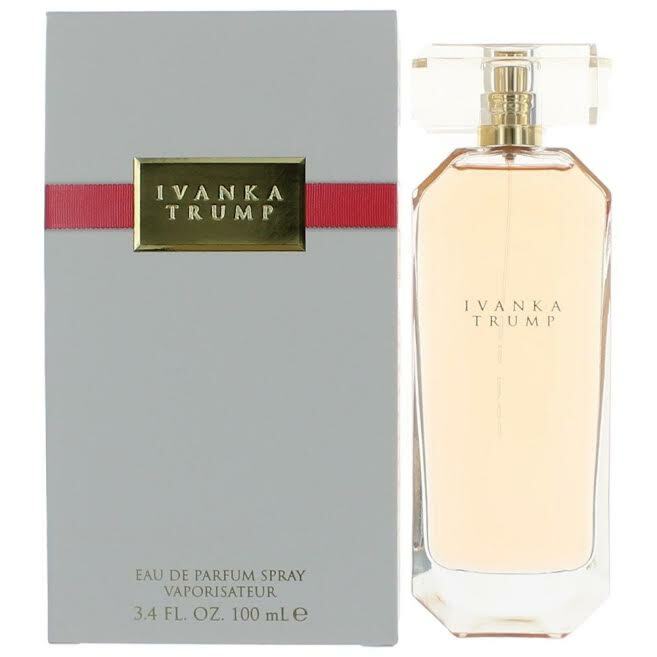 Despite the controversies, the Ivanka Trump Eau de Parfum Spray For Women has sky-rocketed to be one of the best-selling fragrances on the market right now. This obviously causes us to wonder. Is it really a nice fragrance? Or, is this just because of the brand? Below, we will put the Ivanka Trump Eau de Parfum Spray For Women in a detailed and unbiased review. Ivanka Trump For Women is a rather new perfume. It was first released into the market in back then in 2012. It is produced by Ivanka Trump in collaboration with the Parlux Fragrances Inc. The perfumers behind it are Jennifer Mularkey and Marypierre Julien. It is available in bottles of 50 ml and 100 ml. Ivanka Trump Eau de Parfum Spray For Women comes in a nice and elegant box. The box is colored in gray, featuring the name “Ivanka Trump” carved onto a beautiful golden plate which connects to a red ribbon that circles around the box. Such elegant packaging enhances the premium air around the product. Opening the box, you will be conferred with a nice and sleek bottle. The bottle is translucent yet with a pinkish tint, indicating that this is a sweet feminine scent. You can see the liquid inside. The bottle is equipped with a spray cap. Some blind tests have shown that people actually love the scent very positively. It is generally described as a sweet summery scent. It is a mix of fruity, vanillic, floral, and fresh spicy accords. The scent is most suitable for spring and summer, and as a day wear. Depending on the occasion, it can be a good night wear, too. The sweet and slightly spicy scent suits a wide range of age. Ivanka Trump Eau de Parfum Spray For Women is indeed quite a versatile scent. The perfume opens with a sweet and energizing opening, featuring bergamot, apple, and pink pepper as the top notes. The perfume then quite quickly delivers the floral heart notes of jasmine and rose enhanced with the sweetness of peach. Meanwhile, the base notes consist of most notably vanilla, also amber, patchouli, and cedar. However, the sillage and longevity of Ivanka Trump Eau de Parfum Spray For Women are rather weak. The scent does not project over an arm’s length, meaning that only nearby people can smell your presence. The longevity is weak. The perfume only lasts a few hours, so you may need to re-apply it throughout the day. This perfume is great if you want to appear confident and charming without making everybody noticing. Check the best price of Ivanka Trump Eau de Parfum Spray For Women here!